When you try to play music or video on your laptop, but just find it no sound on the internal speakers. Such issue could make you annoying. However, it’s not a trouble you cannot fix it any more. Follow this guide, find out the reason and try to fix it with the easy solutions. Make sure your laptop sound isn’t muted. The sound icon should shows like not as . 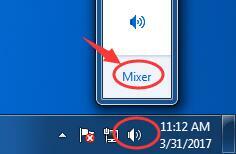 Click sound icon on taskbar and choose Mixer. Drag the slider to increase the volume to test if the sound could work. Right-click on sound icon on taskbar. 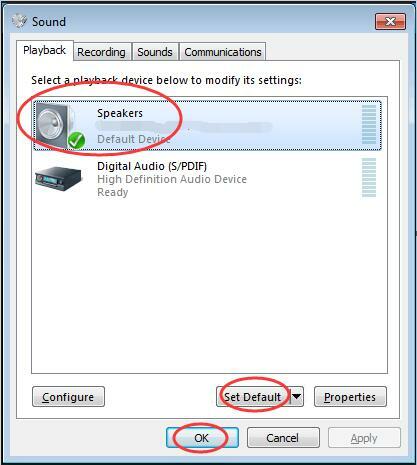 Highlight your speakers, then click Set Default. 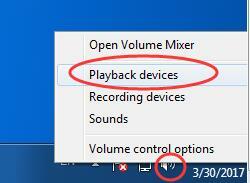 If you couldn’t find your speakers on the playback device list, it might be disabled. Go with the quick steps to show it. On Sound window, right-click on the blank area of playback device list. 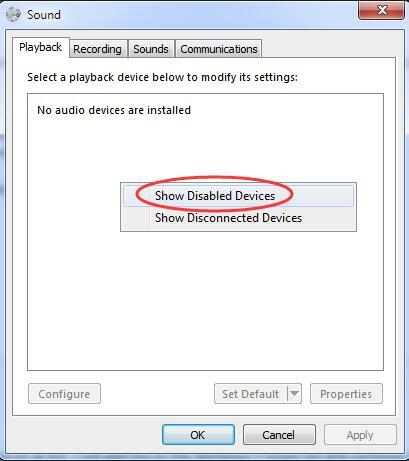 Then choose Show disabled devices. 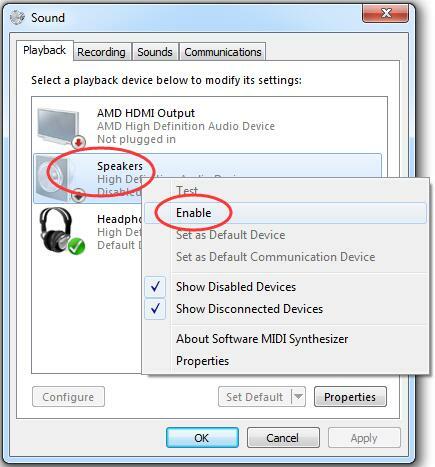 When your speakers shows up, right-click on it to choose Enable. Then you can set it as default device. Press Windows logo key + R key together to open Run dialog box. Type devmgmt.msc in the box. 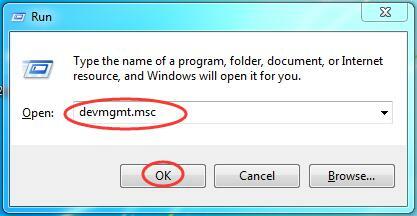 Then click OK to open Device Manager. Expand Sound, video and game controllers dialog. Right click on your sound card’s name and click Uninstall. Tick on Delete the driver software for this device. 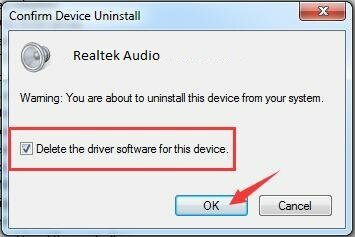 Then click OK to confirm uninstall your sound driver. Restart your PC to make change take effect. 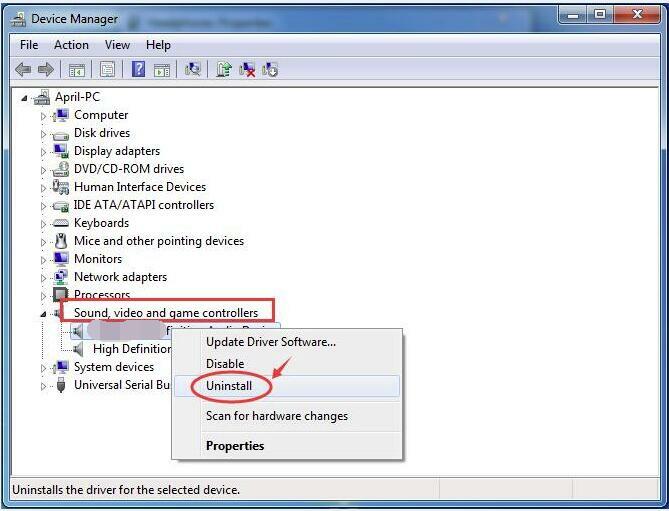 Windows will automatically reinstall sound driver for you now. 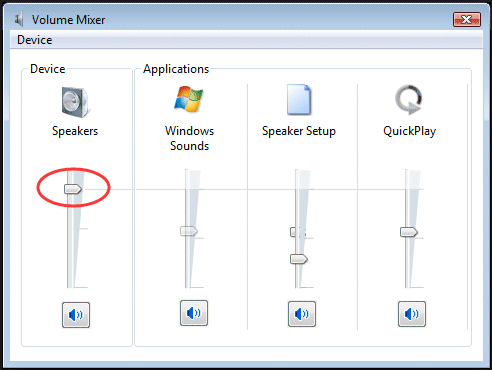 Check if speakers works on your laptop now. If the 1-3 fixes didn’t solve your issue, make sure to update your sound card driver. 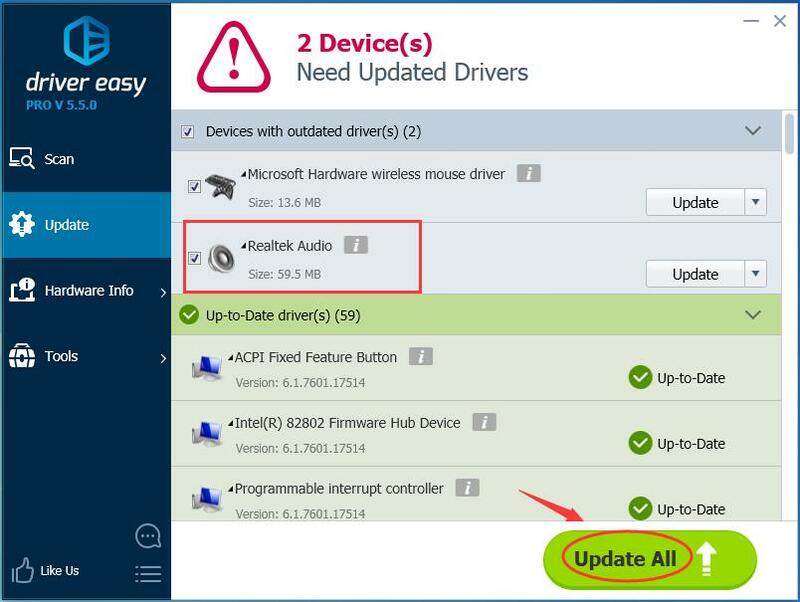 To update sound driver, you can choose to use Device Manager again. Microsoft can install the latest driver for you. But for some reasons, sometimes Microsoft cannot detect the latest driver. As a result, it told you: The best driver software for your device is already installed. To avoid missing the latest driver, you have a perfect choice — using the extremely helpful driver tool — Driver Easy. It has two version. Have a try on its Free Version, it will offer the latest drivers for you to install. But if you upgrade to PRO Version, you can get all your drivers including sound card driver up-to-date with just one click — Update All. So convenient and save time! No worry to try it as you can enjoy 30-day money back and professional tech support anytime guarantee. Why don’t give yourself a chance to to try on such a charming driver tool? Hopefully the speakers on your laptop works correctly now. Any problems just feel free to leave your comment below, thanks.